A complex SCL list is one having numeric, character, list and object items. This editor is under development. 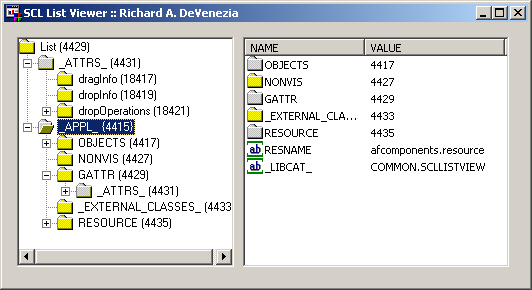 The screenshot shows the list that is a Frame object. "SLIST Editor", by Softscape Solutions, AU. This page was last updated 31 January 2005. What is the status of this utility?